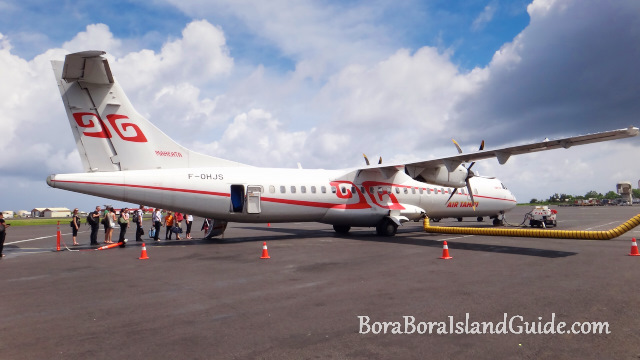 International flights and inter-island flights, including Bora Bora flights, leave from the same airport. 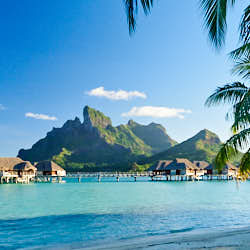 So when you come out of customs from arriving into Tahiti, you will turn right to head to Air Tahiti. 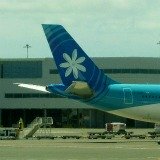 Air Tahiti is the only inter-island carrier in French Polynesia, and is a separate airline from Air Tahiti Nui. 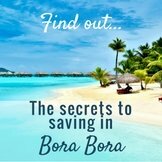 If you are continuing straight on to a flight to Bora Bora, it's a good idea to exchange money at Papeete airport, while you are waiting. The money exchange is to the left and is usually open during all international arrivals and departures. We have arrived when the money exchange office is closed, and used the money exchange machine that is available 24 hours. 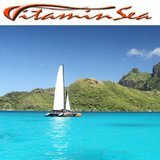 You just simply put in notes of the currency you have and it will give you Pacific Francs. 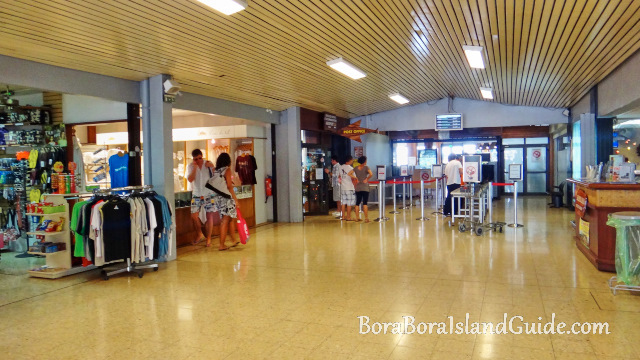 Air Tahiti requires passengers to check-in one hour before departure for inter-island flights. 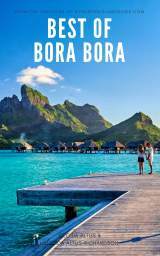 The last flight to Bora Bora leaves at 5.30pm. 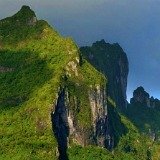 If your international flight arrives into Papeete in the late afternoon or evening, you will need to stay the night in Tahiti. 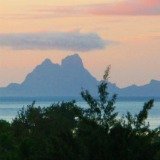 Here are the best places to stay near Tahiti's airport. 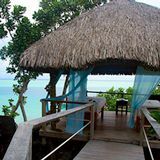 I usually have a two night stay in Papeete and hire a car to drive out to the Pearl Beach resort in Arue (about 25 minutes from Airport). I love it's exotic location on a black sand beach. 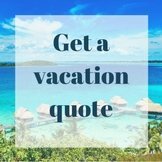 However, if you just want one night before catching a flight to Bora Bora the next day, you will want to stay closer to the airport. 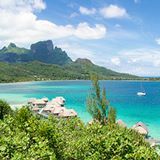 Here are the Tahiti airport hotels to choose from. 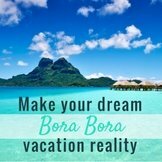 From Tahiti, direct flights to Bora Bora are a short 50 minutes. 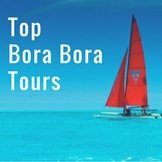 During the busy vacation season in July and August there are extra Bora Bora flights, so regular flights to Bora Bora depart Papeete 8 or 9 times a day. 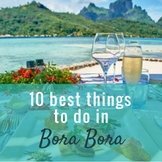 About half of these are direct flights to Bora Bora. 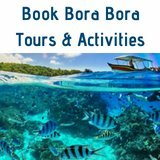 Others flights to Bora Bora leave from Moorea, Huahine, Raitea and Maupiti. 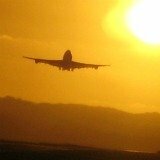 Note that few flights operate at night in French Polynesia because runways are on small islands and are not lit. 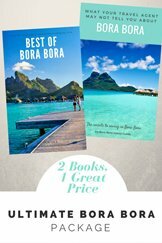 A pleasure of flying inter-island in French Polynesia is seeing the islands, and their sparkling blue lagoons from the air. 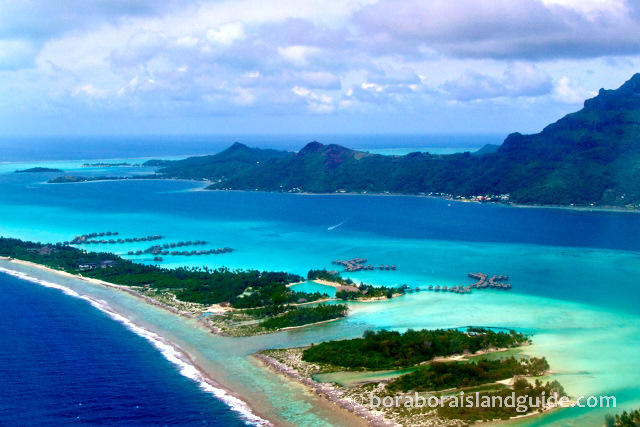 The flights to Bora Bora are particularly spectacular. 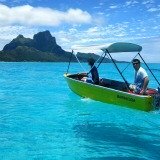 So if you are wondering which side of the plane to sit on for your Bora Bora travel, here is the answer.